A RFTA bus heads downhill from the Maroon Bells Scenic Area. A record number of passenger trips were logged last summer. The Aspen area might be on the verge of another environmental breakthrough at the Maroon Bells. 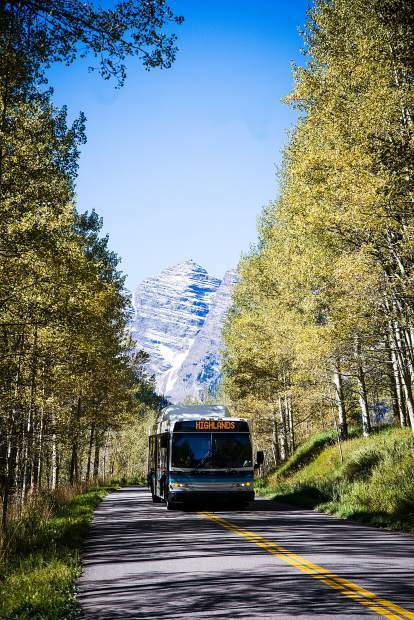 For 40 years, local governments and the U.S. Forest Service have teamed to restrict access for private vehicles in favor of bus service during summers on Maroon Creek Road. Now the prospect of replacing loud, smoke-belching diesel buses with quiet, zero-emission vehicles looks likely. The Roaring Fork Transportation Authority plans to order eight electric battery-powered buses from a manufacturer within the next two months. 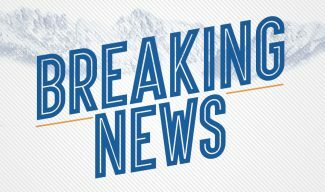 Upon delivery in 18 to 24 months, RFTA will launch a pilot project to make sure those buses can handle the rigors of service in the Roaring Fork Valley, according to RFTA CEO Dan Blankenship. “I think it would be great if we get to the point where all the buses we use are electric,” Blankenship said. The battery-electric vehicles will be used on multiple routes primarily in the upper valley during the pilot project. 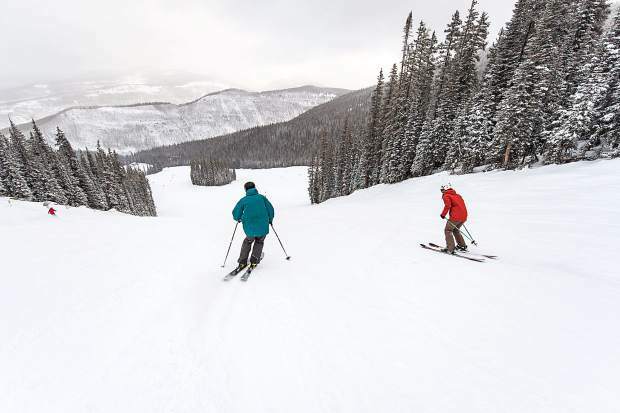 Use for service between Aspen Highlands and Maroon Lake parking lot and between Aspen and Snowmass Village would test its climbing ability. While climbing the steep grades would drain more battery power, the downhill travel would recharge the batteries through regenerative braking. The batteries stay charged for about 250 miles, but that is reduced by use of heaters, windshield wipers and other accessories. RFTA wants to make sure the buses are practical for its use before ordering more. However, all indications are that the buses will work well in the Roaring Fork Valley, he added. Park City, Utah, already has numerous electric battery buses in its fleet, he noted. The technology is rapidly advancing with all battery electric vehicles and demand is increasing. The Los Angeles Metro system plans to fully transition to battery-electric buses by 2030. RFTA is looking at different electric vehicles that could handle the longer hauls between Aspen and Glenwood Springs and points beyond. The pilot project would cost about $8.05 million for eight buses and four charging stations, which can charge two buses at a time. The cost is $900,000 to $1 million per electric-battery bus compared to about $500,000 for the standard diesel-engine bus, according to Blankenship. But the electric buses eliminate fuel expenses and standard maintenance is significantly lower, he said, so the more expensive upfront cost could be offset. RFTA has lined up the funding for the pilot project over the past year. The Elected Officials Transportation Committee, comprised of upper valley governments, pledged $500,000 in June. Grants from the Colorado Department of Transportation and Federal Transit Administration are anticipated at $4.27 million. RFTA and the city of Aspen are discussing how to cover the balance of about $3.3 million. The potential benefits of zero-emissions, quiet buses are widespread. 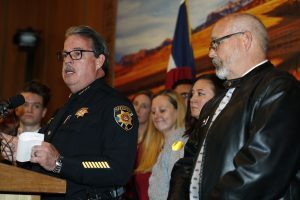 In Aspen, for example, there are 350 to 400 buses heading into and out of town daily at peak season, Blankenship said. That’s a lot of noise and emissions that could be eliminated. In Maroon Valley, as many as 12 buses are running nonstop between Aspen Highlands and Maroon Lake daily on peak weekends. The number of passenger trips up and down has soared from 66,992 in 2000 to 215,562 last summer. “We have a staff dedicated to Maroon Bells all summer long,” said John Hocker, RFTA’s co-director of operations. He was a bus driver for the Bells service in its early days, prior to the creation of RFTA’s predecessor in 1983. Hocker said Pitkin County and the U.S. Forest Service teamed in 1977 to restrict private vehicles by staffing an entrance station and turning cars around. The Forest Service supported the curtailment of private vehicles because of the damage wrought by cars parking everywhere and air quality. The county was just starting a bus system and used vehicles from its fleet, but learned they couldn’t climb well. “They weren’t engineered for that purpose,” Hocker said. 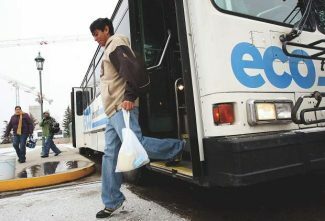 The city of Aspen took over the service after a year or two with buses from its skier shuttle service that sat idle during summers. RFTA was created by the city and county and took over Maroon Bells service in the mid-1980s. As effective as bus service has been at reducing private vehicles, the system still leaves something to be desired. The diesel buses create a distinct roar as they climb the road in the relatively narrow upper Maroon Creek Valley. Emissions at Highlands and the Maroon Lake bus turnaround also are an issue. Aspen-Sopris District Ranger Karen Schroyer said she has been impressed over her four years in the position at how adaptive and responsive RFTA has been to the growing demand for mass transit service in Maroon Creek Valley. “We would be thrilled to see electric buses from Aspen Highlands to Maroon Bells or from Aspen to Maroon Bells,” she said. Other spectacular settings also are looking into using battery-electric buses to offset high demands for visitation. The National Park Service is testing battery-electric buses in pilot programs at some locations, including Yosemite National Park and Zion National Park. The Aspen area appears poised to be part of that green future. 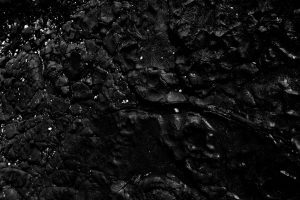 “There are ways where we can be better environmental stewards and decrease our carbon footprint,” Blankenship said.